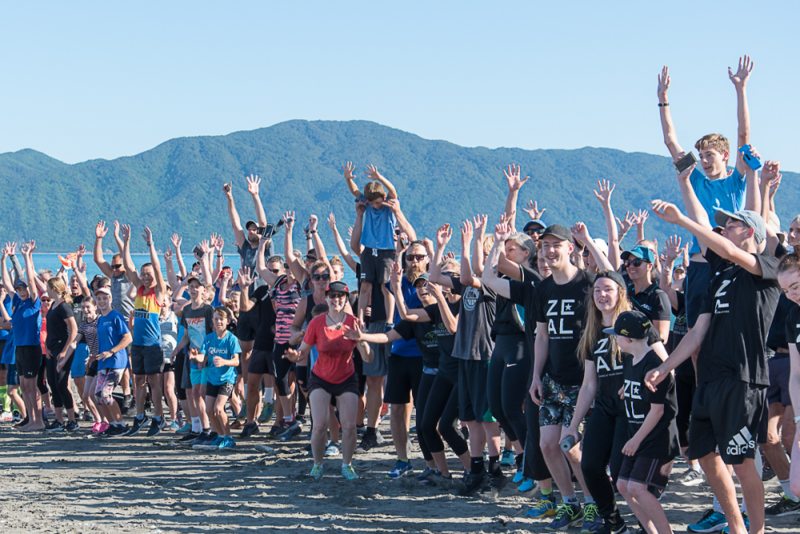 The Web Genius Kapiti Run for Youth (KR4Y) took place on Sunday 19 March. “The weather was a truly amazing Kapiti Coast day, clear, warm and little wind making for perfect walking and running conditions on the beach”, said Richard Calkin of Web Genius. “The participants on the day were diverse with individuals and groups made-up of local businesses, mums, dads, grandparents, kids, dogs on leads. Everyone was really happy and out for some fun on the beach front while raising money for Kapiti youth”, says Helene Judge, Campaign Manager. Richard says, “I am very proud that over the last six years we have raised more than $63,000 for youth of Kapiti. This year we are well in to double figures so as soon as we know the final total once online sponsorship closes we will be letting everyone know.” Thanks, go to the work behind the scenes to Terry Poko of Youth Quest, Richard van Eck of Low Tax Accounting, Peter Jackson of Peter Jackson Plumbing and Helene Judge of Kapiti Business Projects, our Campaign Manager. This group of people believe in the importance of positive role models for youth in our community and by getting out and participating in an event such as this, is meaningful, fun, healthy and a sustainable sponsored event. Helene goes on to say, that “local business sponsorship has played a large part in the campaign this year. 27 local businesses have contributed $6,250 to the kitty. Our fundraising model works on the 80/20 rule which means, 80% is donated to participating Fundraising Partners and 20% is retained to cover expenses of the event.” The main benefactor for Kapiti Run for Youth is Youth Quest who will receive at least 40% of funds raised with the other 40% going to Fundraising Partners (El Rancho, Kapiti College, Kapiti Youth Support, Paraparaumu College, Youth Quest and ZEAL). “We know the money we raise this year will be used wisely by Youth Quest and other Fundraising Partners, and it will help them all to achieve more good work within our community through their operations and dedicated programmes for youth development,” says Richard. Original generation time 1.3860 seconds. Cache Loaded in: 0.0610 seconds.